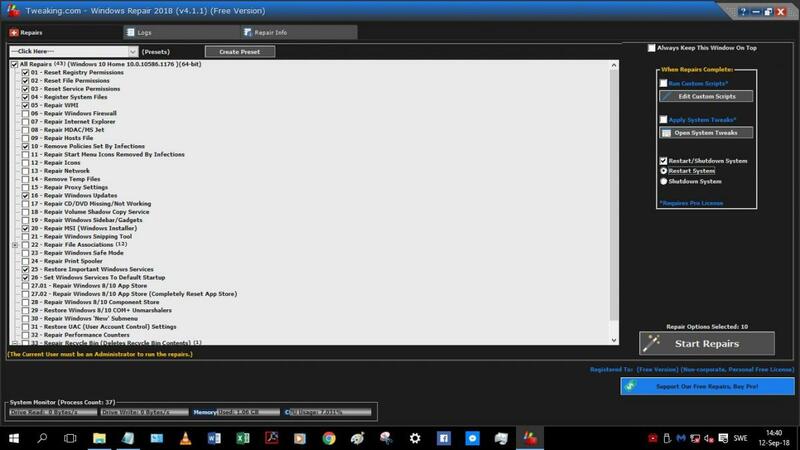 If you want to upgrade is better to use the Media Creation Tool https://www.microsof...nload/windows10 the tool can download Windows 10 and create a flash drive or DVD, its a better option because its a very big download that you will do one time and then can try the upgrade several times. Most likely it fail because of the problem installing the device drivers! Zip them and attach the zip to your post. Sorry for the slow response....again. That was all there was!! I'll let you know what happens!! Went in to my account & deleted all the old attachments but none from this epic thread!! It seems there are some permission errors on the log! I posted that I had run the Windows 10 install from a USB drive....but the post I see did not appear!! 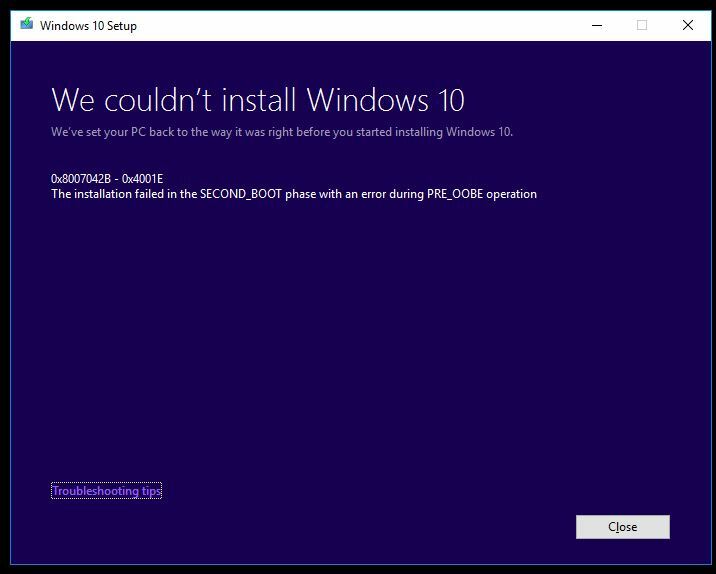 Anyway it created the USB drive W10 OK, then it ran on the machine OK...it seemed. There were a number of reboots then when I checked it some hours later it said it had encountered some problems & had reverted back to an earlier version of W10. The message window is attached below. Downloaded 'Tweaking' to Desktop, then extracted all to Windows/Temp.....no problem. Ran through the steps but when machine rebooted in Safe Mode I had to restart Tweaking from Temp folder. Clicked Open Repairs, unchecked All Repairs, & made the selections as you advised. .....then I let it run. Sorry I forgot to ask can you post the Tweaking log please (check the log folder inside the tweaking folder) I want to confirm it did the changes first. There were a couple of logs in a log folder so I just zipped the whole folder.........attached! No other action taken....standing by!! Try to upgrade Windows 10 by running the Setup from the flash drive. If the install fails again post the error code and the new logs. From the flash drive I was selecting 'upgrade' to save any of my files but then I realised there was really nothing on the machine that I couldn't replace later.....so I selected 'install'. After a short while I got a fright by a female voice shouting, "Hi, I'm Cortana!" Then I knew it had worked!! I've run some basic checks but I cannot see anything that isn't working....WiFi, display, etc plus it also cleaned up the old eMMC drive so at the moment I think I have my old friend back!! I will keep the W10 Install flash drive I created as a back up. It seems that your Windows had some problems that eventually only a new installation could solve! VERY many thanks for your guidance in getting this resolved....could not of done it without you Sir!!!!! Its good to have a flash drive containing the Windows 10 install DVD, it could be useful to resolve problems... specially when you don't have access to another computer to download it from internet.